Access your health information 24/7 with your Benefits Provider Mobile Apps. In response to evolving requirements for wellness programs, St. Johns County’s voluntary Personal Health Assessment (PHA) premium credit program will be replaced for 2020 with the voluntary Wellness Premium Incentive (WPI) Program. 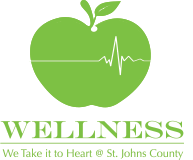 The County will no longer host personal health assessment events and instead, under the new WPI program, employees and spouses enrolled in the St. Johns County Medical Plan will be eligible for the insurance premium credit in 2020 simply by completing an annual wellness exam at a physician’s office between October 1, 2018 and September 30, 2019. WPI FAQs. As a reminder, diabetic supplies are only covered by the CVS Caremark plan, and not by Florida Blue medical. To find out if you or a covered family member are eligible for a no-cost Diabetes Accu-Chek Blood Glucose Meter, call the CVS Caremark Member Services Diabetic Meter Team at 1-800-588-4456. Have your prescription ID number and your doctor's name and phone number ready when you call. CVS CM resources to help you manage diabetes. As a reminder, for employees enrolled on the St Johns County health care plan, prescription coverage changed to CVS Caremark on January 1, 2019. 30-day or acute prescriptions can be filled at any pharmacy in the CVS network; 90-day maintenance medications must be filled at a CVS pharmacy or set up for mail-order. For help setting up mail-order contact CVS customer service at 844-278-5590. Set up your CVS Caremark online account and use your online account to manage your family's prescriptions. 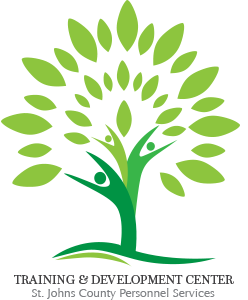 Upcoming Training Classes – Leading with Excellence for Supervisors of All Levels, Performance Appraisal: Partners in Performance for Supervisors of All Levels, Change and Stress Management, Workers' Compensation for Supervisors of All Levels and Timekeepers. Visit Training & Education for more course information. FY 2019 Third Quarter Mandatory Safety Training: "Stress Management". Check it out on the County intranet. Training deadline June 28, 2019. Wellness Express: Stressed? Try Yoga! Concert and sporting event discounts at TicketsAtWork! Sign up to become a member of TicketsAtWork. St. Johns County now offers pet insurance. Plans starting at $6 a month. Pets Best Insurance. Check out the other great discounts for SJC Employees!